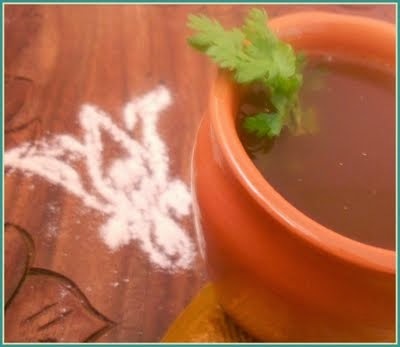 This Kandathippili Rasam is medicated Rasam and usually made for new moms (after delivery) and enters one of the menu for pathiya samyal. It helps in indigestion and can be consumed by all. 1) Make Tamarind paste and dilute it by adding 1 cup of water. 2) Add Salt, Asafoetida, Rasam powder, Curry leaves and let them boil till the raw smell of tamarind goes. 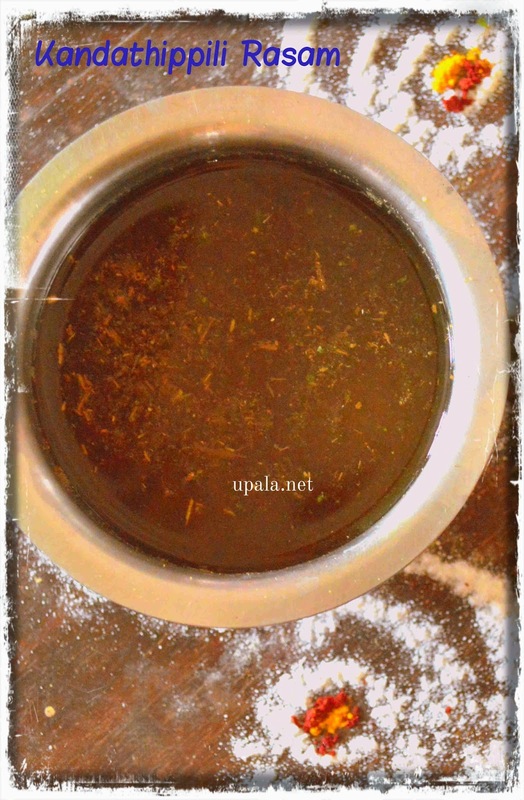 3) Dilute the mixture with water and add Kandathippili Rasam powder. 4) Switch off the flame when froth comes. 5) Heat ghee in a kadai and add mustard seeds. 6) After it crackles, add this to Rasam.